I said in yesterday's post that today I was going to share a recipe that has been highly requested. 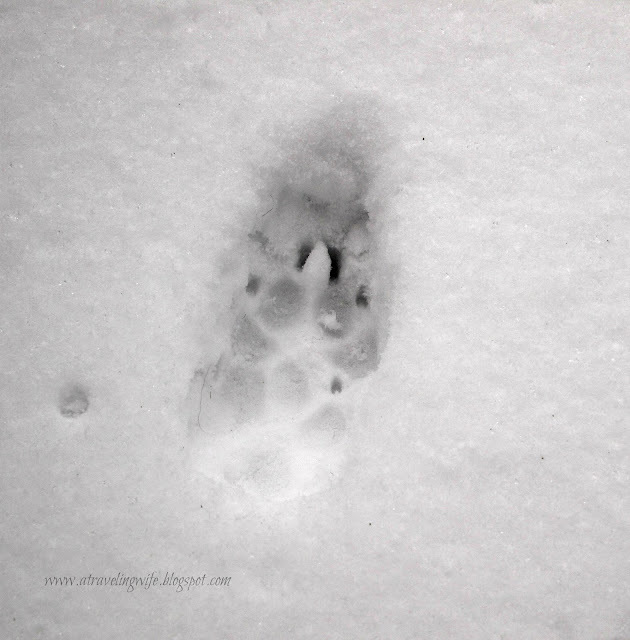 But first, snow dumped down on us last night. This relates to the recipe!! I may be done with having snow outside for the season but it sure is pretty to look at. I opened up our balcony door and the puppy just helped herself out there. 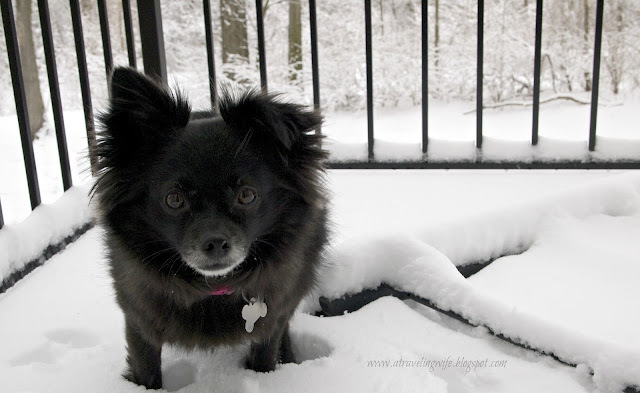 She is such a snow dog, sitting her bum in the snow. 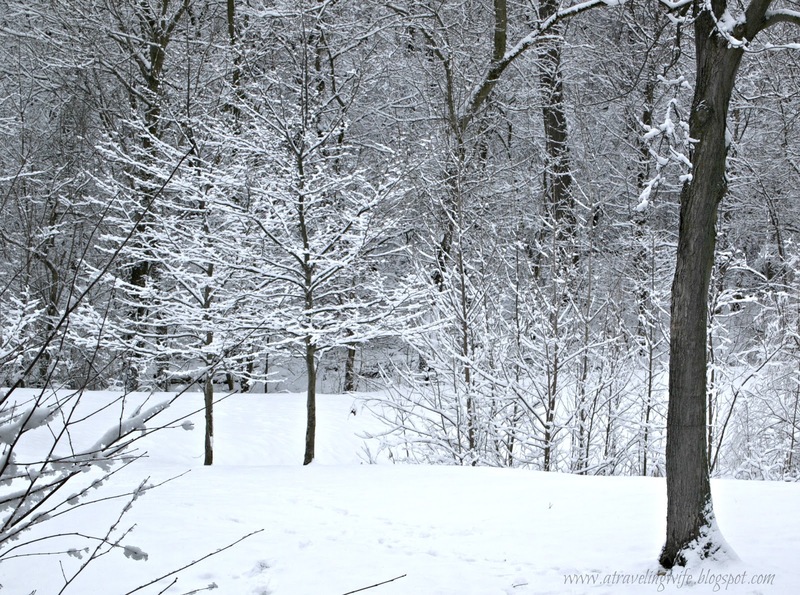 Now that we have all this snow on the ground, I can bundle up in a blanket and drink some Nutella hot chocolate. That is right! Today's recipe is for Nutella Hot Chocolate. I pretty much make this daily and do not measure any more, but here is the general breakdown below. Whisk, whisk, whisk until frothy. 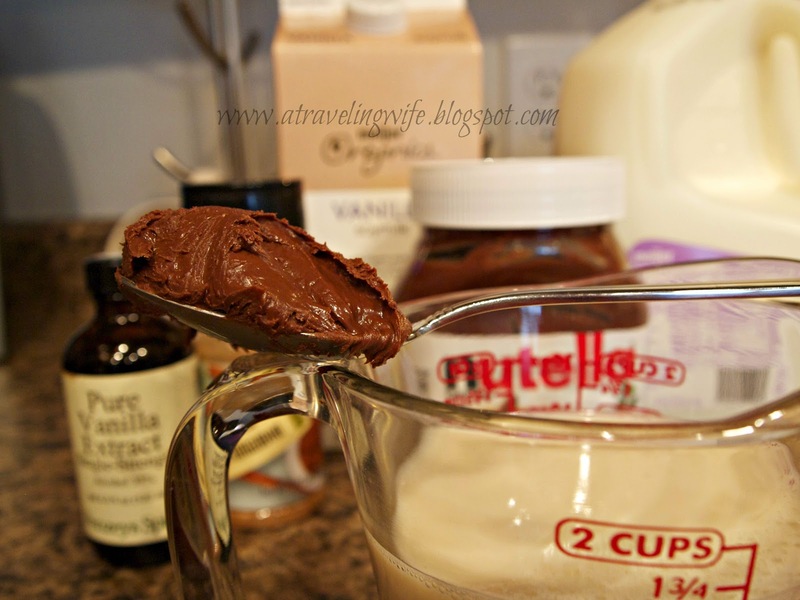 - Heat half the milk (mixture) and nutella in medium saucepan, whisking until melted. 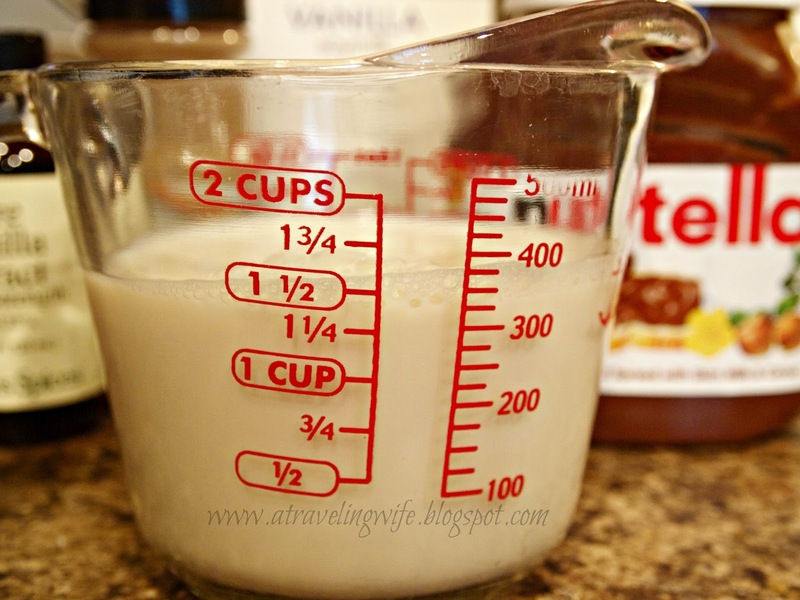 - Add remainder of milk, vanilla, and cinnamon. 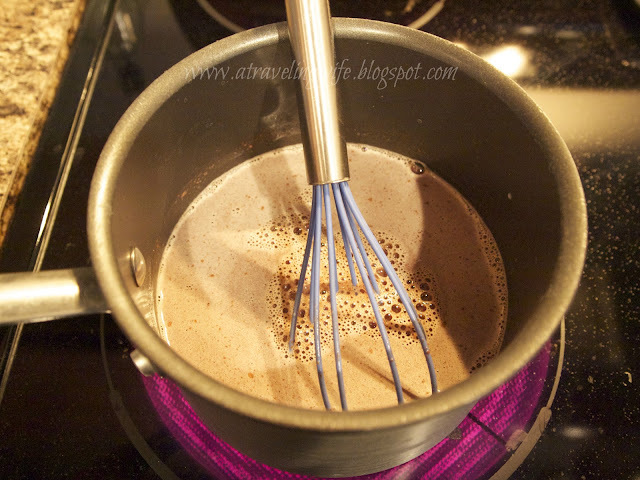 - Whisk until warm/hot and frothy. 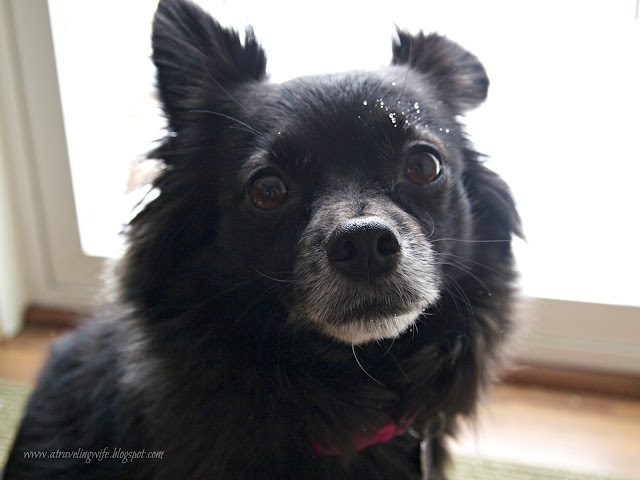 *Linking up with Shanna @ Because Shanna Said So for Random Wednesdays. Love hot chocolate! Looks like a great recipe! This looks delicious! 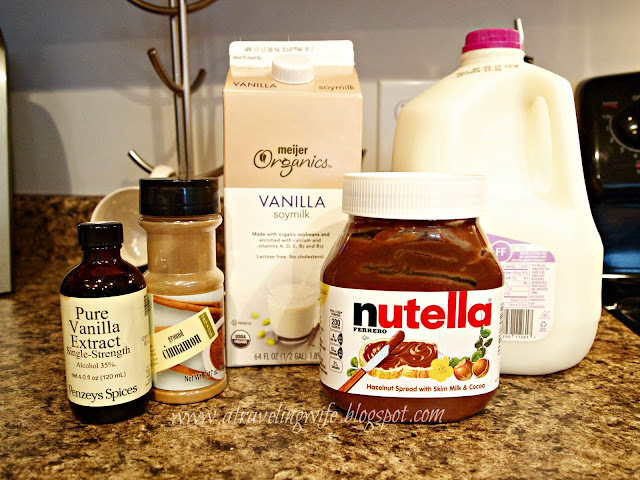 I love Nutella (who doesn't!?). 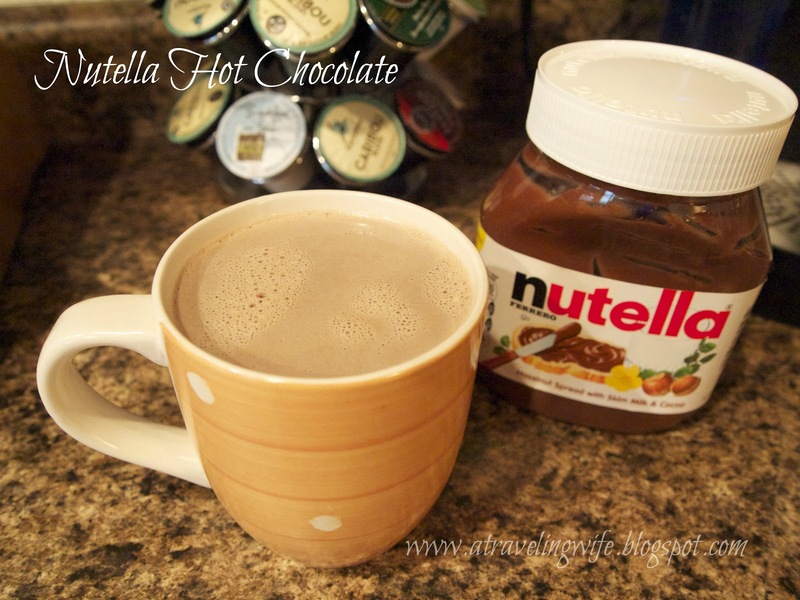 Nutella hot chocolate....yum!!! Might need to indulge in this today! Aww such a cute dog!!! Oh boy, my husband and I would love this- him especially, HUGE Nutella fan!